Antonio Lopez has the "it" factor. There are those in the know, and those who don't know yet. His acoustic soul and modern folk sound garners comparison to artists such as Amos Lee and Paul Simon. A sixth generation Coloradan, Antonio was born and raised in Alamosa and now resides in Longmont. He has released three albums independently with plans to release a fourth in 2019 entitled Roots and Wings. Previous accolades include song of the year winner in The Southwest Independent Music Awards. Antonio has collaborated with artists such as folk luminaries Don Conoscenti and Daniel Valdez (Santana, Linda Ronstadt). The Episode of The Songwriter Hour that Antonio was featured on is now available to listen to at thesongwriterhour.com or on Spotify and iTunes. The Songwriter Hour is hosted by Kyle Donovan and is taped in front of a live audience at Still Cellars in Longmont, CO.
​My last show of the year is this Wednesday, December 5th at eTown Hall in Boulder, CO. 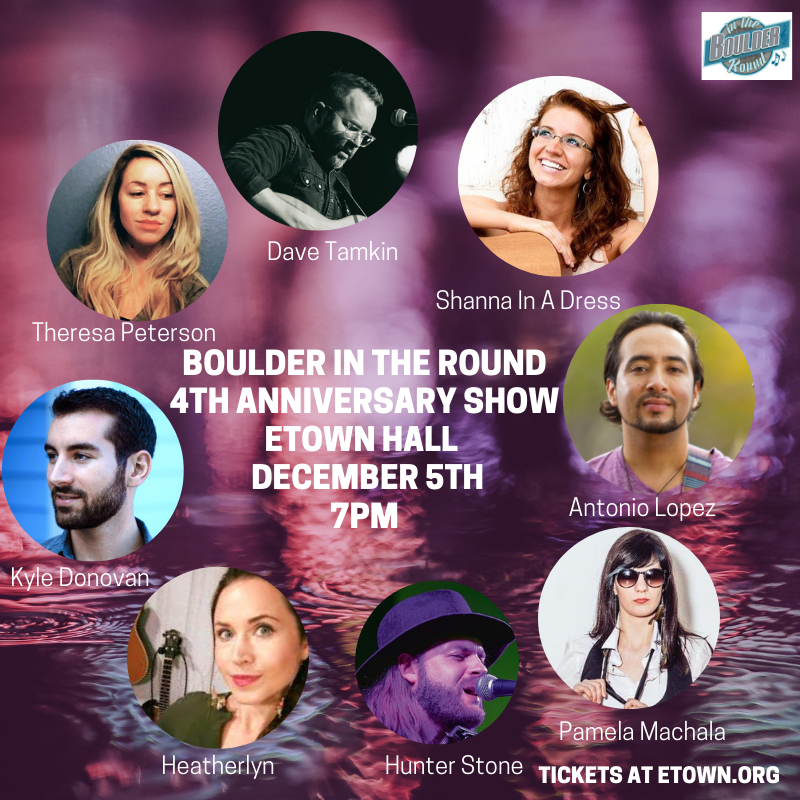 I will be performing as part of Boulder in The Round’s 4th Anniversary. 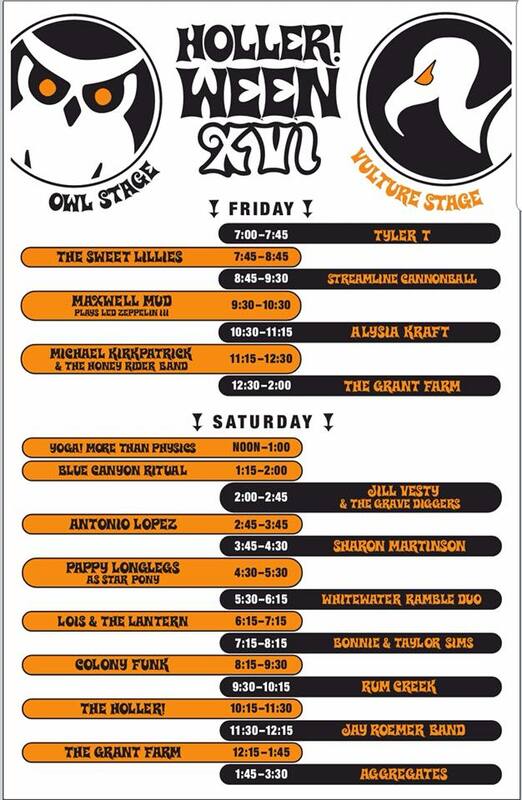 We will be upstairs on the main stage! Other songwriters performing are Shanna in A Dress, Pamela Machala, Heatherlyn, Theresa Peterson, Kyle Donovan, Dave Tamkin, Hunter Stone. Be prepared for many collaborations between the artists and even some special guests. eTown is the best sounding concert hall in Colorado, this is going to be a special one. Get your tickets here. ​​Antonio Lopez Band is proud to be part of The Holler!Ween Music Festival on Saturday, Oct 20th in Fort Collins. In it's 16th year, Holler!Ween is hosted by Michael Kirkpatrick and the Sustainable Living Assocition. Bring 2 or more non-perishable food items for the Food Bank. Your ticket includes camping and your first beer. Feel free to contact me about bookings, guitar lessons, weddings etc.